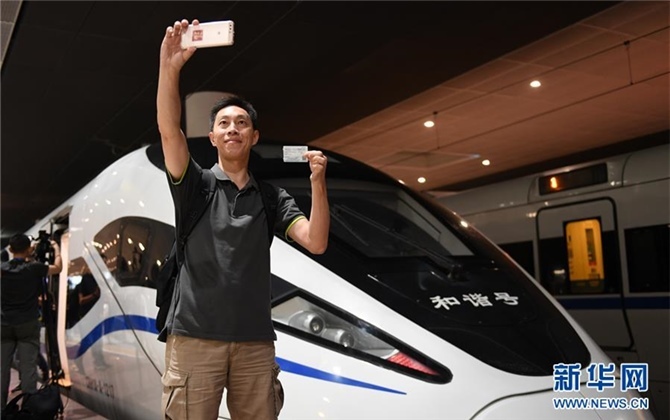 China and Spain should enhance the connection of developmental strategies and jointly build the Belt and Road, President Xi Jinping said on Wednesday. 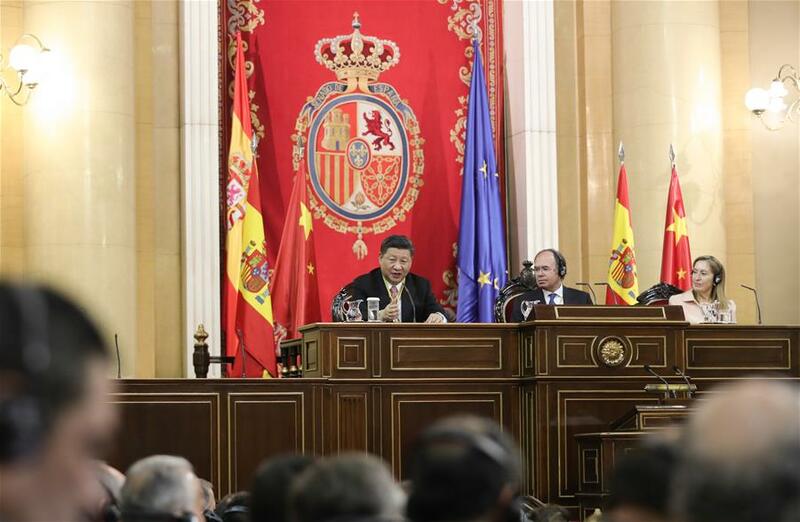 Xi made the remark while addressing the Senate and the Congress of Deputies of Spain during his ongoing state visit. China would like to maintain high-level exchanges with Spain and for the nations to continue to support each other's core interests and major concerns, Xi said, adding that they should uphold the right direction in bilateral relations. Noting that this year marks the 40th anniversary of China's reform and opening-up, Xi said that China and Spain have upheld developmental paths that fit their own situations in the past four decades and have achieved national prosperity and social progress. China will never close its door, but open it wider and wider, Xi said. Spain is also taking measures to make progress and deepen reform, Xi said, adding that the development of China-Spain relations is facing new opportunities. 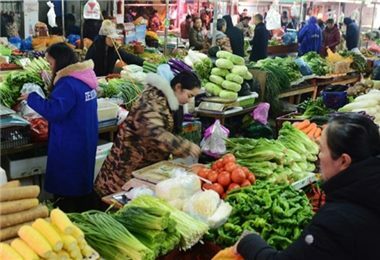 The two countries should enhance people-to-people exchanges and strengthen communication on international affairs, Xi said. The Spanish Senate and Congress of Deputies can play an important role in boosting China-Spain political mutual trust and deepening the friendship of the people, Xi said, adding that China attaches great importance to exchanges with the two houses of Spain's legislature. On behalf of the two houses, Pio Garcia Escudero, president of the Senate, welcomed Xi's state visit. The Spain-China relationship is the best of all time now, he said. He told Xi that Spain admires China's great achievements in reform and opening-up and speaks highly of China's important role in global affairs. Spain would like to enhance cooperation with China in bilateral issues and global affairs, boost exchanges of legislative authorities and deepen the friendship between the people of both sides, he said. 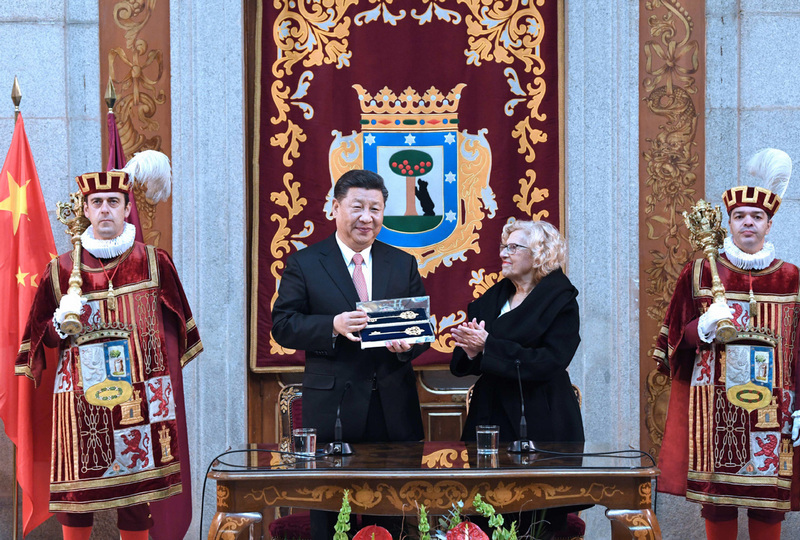 Xi earlier accepted the Gold Key of the City from Manuela Carmena, mayor of Madrid. Xi called the key not only an honor for himself, but also a symbol of China-Spain friendship and the hope for opening the door of China-Spain friendship wider. Hailing Madrid as a famous historic city and global hub of culture and tourism, Xi said it is the window of China-Spain relations. In 1985, Madrid and Beijing became cities of friendship, which injected impetus into China-Spain cooperation in all areas, Xi said, adding that local-level cooperation is an important part of the friendship. 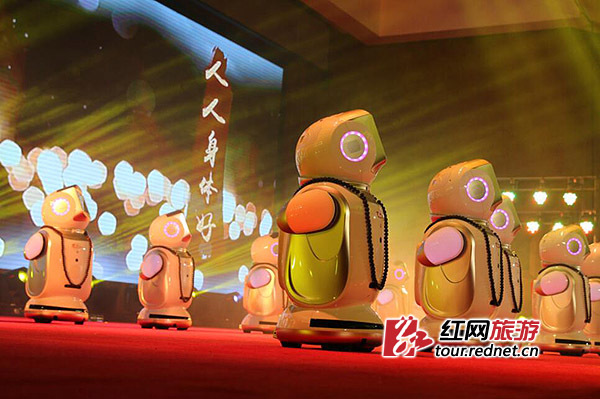 Carmena said the connection between Madrid and China has become closer, and China's Spring Festival has become a popular festival in Madrid. Xi's state visit will bring more opportunities for Madrid to enhance cooperation with China, the mayor said. Xi on Wednesday also held talks with Spanish Prime Minister Pedro Sanchez.